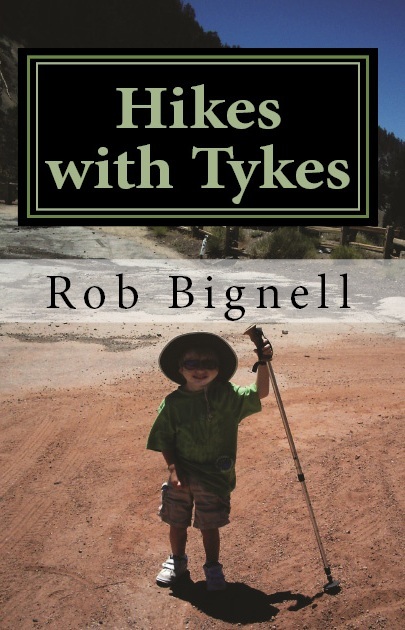 I recently had the opportunity to check out Rob Bignell's second book in the Hikes with Tykes Series, Hikes with Tykes: Games and Activities, and I can not recommend enough that a copy of this small resource guide make its way under your Christmas tree this year. The book starts off with a special section on how to hike with kids featuring details on planning, clothing, navigation, food and water, first aid, and rules of the trail. Rob then goes on to Part 1 - Getting Reluctant Kids Excited About the Hike (if you've been there, you know you want to read this chapter), and Driving to the Hike (read: How to occupy the kids in the car until you reach the trailhead). 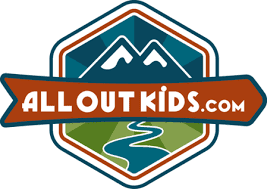 Part 2 focuses on the games and activities and Rob has conveniently broken them up by category: Nature Oriented and Kid-Tested Activities guaranteed to keep kids happy and engaged in the hike. 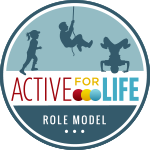 Each game or activity has a recommended age for it along with simple instructions and materials recommended. Most of the Kid-Tested Activities require few to no materials beyond a bit of imagination. Part 3 addresses a part of hiking that few of us pay much attention to - After the Hike Games and Activities for Creating Memories. 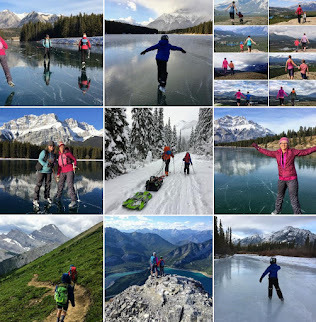 What a better way to ensure your children want to go on another hike then by some simple follow-up activities to remind the kids how much they enjoyed the trip - and might want to do it again some day. I took the book with me on our last road trip and read through it as we traveled to visit family for Thanksgiving. I put stars beside the games and activities that I thought would work in our family. Now, when I want something fresh for a hike, cross country ski trip, snowshoeing adventure, or simple outdoor play date, I just have to grab Rob's book and browse through it until one of the activities I highlighted, jumps out at me. Some of my favourite suggestions? Read books about hiking to get kids interested ahead of time. I know this one works! We did this all last summer on our camping trips. I got books out of the library, renewed them most of the summer, and we read them over and over and over... and over. Now they are all on our Christmas list. Invite your child's friends. This one definitely works too! We always bring friends on our trips. The times we forget - disaster! Nobody is happy and we say we are never going hiking again. Make nature bracelets. You'll have to buy the book for the instructions on this one but I think it's brilliant and I hope to try it in our outdoor playgroup next summer. Search for items on the trail that start with each letter of the alphabet. I laughed when I read this one because this is MY game when I get bored at the end of a hike. I even play it by myself. It can be very challenging when there's no Indian Paint Brush in sight and you can't think of anything else starting with the letter I. Take turns pretending to be different animals. Love this game! We've played it a lot on hiking trails and I think it would work well on skis or snowshoes too. Play the old-school classic games like Red Light Green Light or Simon Says. 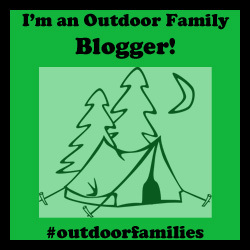 We've started playing these on our winter outdoor play dates and they are really fun! The kids love them!! Sing Songs. Another one I know works! It's great on backpacking trips when everybody is getting tired. And there's a lot of animals that Old MacDonald can have on his farm! Now those are just a few of the ideas I liked but keep in mind that I have a preschooler and most of our friends do too. If you have school-aged kids, you'll find tons of amazing ideas for that age group in Rob's book. Teens? Rob has ideas for them too. Remember, I'm the one that said I liked to play the Alphabet game on hikes and I'm a lot older than a teenager. :) There's something for every age from toddlers to teens in this book and even the most experienced hiking family will find something new to add to their bag of tricks. Remember, Christmas is coming and it will be summer again before we know it! Grab the book now, read through it over the next few months, and you'll be ready to hit the trails as soon as the snow melts with fresh vigor, energy - AND new games! Rob Bignell is a Wisconsin based journalist, editor, hiker and author of two books in the Hikes with Tykes series. His first book, Hikes with Tykes: A Practical Guide to Day Hiking with Kids, is available on Amazon.com or Amazon.ca. 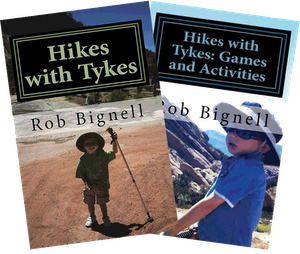 Hikes with Tykes: Games and Activities is available on Amazon.com and Amazon.ca (in Kindle Format). Paperback copies should be available for purchase on the Canadian site soon. You can follow Rob's Hikes with Tykes Blog for more tips on day hiking with kids, trail suggestions, product reviews and news about the book series. I want to say thanks to Rob for the opportunity to read his book and review it for him. We have already started using some of his games and activities in our winter trips and outdoor play days. I can't wait for next summer to try more on our journeys.